The government of St Vincent and the Grenadines is pursuing a variety of green energy sources, particularly geothermal, according to Prime Minister Dr Ralph Gonsalves. The Prime Minister was speaking this week following his return from a series of overseas engagements in the Middle East, including the World Energy Forum. One of those energy sources could be geothermal, which is being pursued on several Caribbean islands, including Dominica and Nevis. A pair of companies aiming to build a 10 MWe geothermal plant in the Lower Klamath Lake National Wildlife Refuge announced today a $1.75 million grant from the U.S. Department of Energy. Technip and Entiv Organic Energy are partnering on a plant that will use a fluid power system designed to pull power from low-temperature geothermal resources. The plant carries a price tag of about $10 million. The geothermal project on the refuge is being hailed by lawmakers as something that can deliver clean power while protecting wildlife. Norwegian Green Energy Group has announced that KenGen has signed an agreement to purchase a minimum of 12 geothermal well head plants. The combined capacity of the plants to be delivered is over 65 MWe. The contract was awarded following Green Energy Group’s successful delivery of a “proof of concept” plant to KenGen, which has been providing power into the Kenyan grid since April 2012. A geothermal power plant costing about RM419 million is being built by Tawau Green Energy Sdn Bhd (TGE) at Apas Kiri, Tawau in the far north-east of Borneo island. TGE Project Director Andrew Amaladoss said that 36 MWe electrical generation is equivalent to 56 million tonnes of carbon equivalent eliminated annually; 13.5 trillion trees planted annually and 45 million cars off the roads annually. “The plant is expected to be completed in late 2014 and will be Malaysia’s first grid-connected geothermal plant,” he said. Despite healthy expected returns, finance-related challenges remain the largest barriers to renewable energy development, according to NREL's Renewable Energy Finance Tracking Initiative (REFTI). A recently released report on geothermal technologies show greater than 10% expected returns for both developers and tax equity investors. Yet roughly half of both geothermal respondents reported financial issues (project economics, PPAs, creditworthiness, and raising capital) as the largest barriers to development. In light of this, only 11%-13% of respondents reported abandoning their projects. well’s surface location and five of our closest monitoring stations. The Newberry Enhanced Geothermal Systems (EGS) demonstration project has exciting news to share this morning. Yesterday, they got both pumps running at full capability and brought the well head pressure up to 1800 psi. Shortly afterwards, two microseismic events with magnitudes close to zero occurred near the bottom of the bore hole. In addition, the permeability increased slightly. This means that hydroshearing and creation of an EGS reservoir has begun. As they continue to slowly increase the rpm’s of the pumps, they anticipate many more microseismic events over the next week. Generally, lithium extraction from brine sources has proven more economical than production from hard-rock ore. While hard-rock lithium production once dominated the market, the majority of lithium carbonate is now produced from continental brines in Latin America, primarily due to the lower cost of production. Geothermal brines make up 3 percent of known global lithium resources and are comprised of a hot, concentrated saline solution that has circulated through crustal rocks in areas of extremely high heat flow and become enriched with elements such as lithium, boron and potassium. Small quantities of lithium are contained in brines at Wairakei, New Zealand, Reykanes Field in Iceland and El Tatio in Chile. The Salton Sea in Southern California is the best-known example of a lithium-containing geothermal brine. Simbol Materials, a private California-based company, is producing high-purity lithium carbonate from discharge brine borrowed from geothermal plants operating on the Salton Sea. The company is using a unique reverse osmosis process that eliminates the need for solar evaporation, making operations more timely and cost effective. Simbol expects to increase production from 8,000 tons a year to 64,000 tons by 2020. Having successfully negotiated the challenging regulatory slopes of the U.S. Bureau of Land Management, the U.S. Forest Service, the U.S. Department of Energy, and a host of Oregon state agencies, the Newberry Enhanced Geothermal Systems (EGS) demonstration project is in the process of creating a new geothermal reservoir in central Oregon. The core of the new reservoir is a two mile (2.7 km) deep well drilled about four miles (5.4 km) from the center of Newberry Volcano. The rock surrounding the wellbore reaches temperatures in the order of 600° F (300° C), and is nearly impermeable to water. That, however, is about to change. Time To Renew Your GRC Membership! The cumulative installed electricity generating capacity of wind and solar, the two biggest potential renewables resources are at almost 5 percent (4.72 percent) of U.S. capacity. Calpine Corp. will hold the next public informational meeting to report progress on construction of the Enhanced Geothermal System Demonstration Project currently at The Geysers on Friday, Nov. 2. The meeting will begin at 2 p.m. at the Calpine Geothermal Visitors Center, 15500 Central Park Road, Middletown. The project is a cooperative effort between Calpine and the U.S. Department of Energy. For more information about the public meetings call 707-987-4270 or email CGVC@calpine.com. For more information on the EGS program visit www.geothermal.energy.gov . 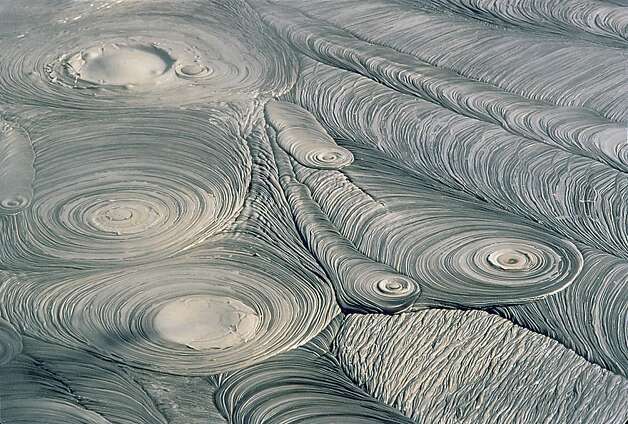 According to the abstract posted by the World Intellectual Property Organization: "Provided are a method for inhibiting scale including inorganic cations such as, for example, calcium and a geothermal power generating device that can be economically operated while inhibiting the deposition of the scale. It will be a busy time next week in Pahoa for those interested in geothermal. Two meetings on the subject have been scheduled, including one being held at the Pahoa High School cafeteria on Tuesday from 5-7 p.m. The occasion is Puna Geothermal Venture’s quarterly community meeting. Officials from the plant in Pohoiki are inviting residents to hear updates on operations as well as monitoring of noise and hydrogen sulfide emissions. There will also be discussion on contract pricing. .........Official Notice. Geothermal power generation is becoming a viable solution to the US's and world's reliance on fossil fuels. Ormat Technologies Inc. is best positioned in the geothermal industry. Most renewable resource power generation is still expensive and has disadvantages that still outweigh the benefits, strictly from a business perspective. Geothermal energy comes as one of the very few renewable energies that is not intermittent (running 24/7), does not rely on an underlying resource taking resource price risk out of the equation and is relatively cheap to generate on a kilowatt measure compared to other renewable energies. Geothermal price has come down partly due to increasing natural gas and oil prices during much of this period and, equally important, to newly enacted legislative and regulatory requirements and incentives, such as state renewable portfolio standards and federal tax credits. U.S. Geothermal Inc., announced today that its wholly owned subsidiary, U.S. Geothermal Guatemala, S.A., signed a binding Memorandum of Understanding (MOU) with one of the largest distributors of electricity in Central America to negotiate a power purchase agreement (PPA) for the El Ceibillo Project located near Guatemala City. The MOU establishes the framework for a PPA that includes a 15-year term for up to 50 MWe of power generation each year. The MOU includes a project power price that is competitive with the prevailing energy prices in the region. As published by Guatemala's wholesale market administrator, this year's average monthly spot power price through September is more than $145.00 per megawatt-hour. 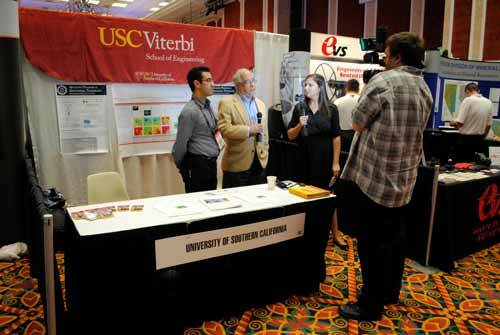 The Center for Geothermal Studies represented the university of Southern California (USC) at the GRC Annual Meeting in Reno, Nevada September 30-October 3. A Poster was presented on Fracture Network Interpretation Through High Resolution Velocity Models: Application to the Geysers Geothermal Field, by Tafti, Tayeb A. & Aminzadeh, Fred, and the center ran a booth at the trade show. Nevada Geothermal Power developed and constructed the Faulkner 1 geothermal power plant, at Blue Mountain, which it currently operates. In addition, the Company holds leases on other properties in various stages of development: two in Nevada, one in California's Imperial Valley and a 50% interest in a joint venture development with Ormat Nevada Inc. at the Crump Geyser property in Oregon. Eighty percent of Iceland’s energy comes from renewable sources. TODAY’s Al Roker from the U.S. NBC network, visits a geothermal power plant to discover why Iceland is ideal for this green energy source. is embraced by those who live there. More technical papers have been added to the Geothermal Resources Council Geothermal Library. Articles from the 2012 Transactions are now available. 214 papers that were presented at the 36th GRC Annual Meeting in Reno are now available, for members only, at www.geothermal-library.org. Papers from previous years are available for all. Overview of all major (M5.5+) and other significant earthquakes from the past 30 days. The country’s power requirement is fueled mostly by renewable and green energy. Energy Director for Visayas Antonio E. Labios on Thursday indicated in his series of special lecture that renewable and green energy sources account for 50.85 percent of the country’s installed capacity as of April 2012 while coal has 30.42 percent and oil based at 18.53 percent. Of the renewable sources, hydropower has the highest share at 21.60 percent; geothermal contributes 11.03 percent; natural gas has 17.70; biomass has .51 percent and solar gas with .01 percent. In terms of the gross generation, which include those that are not connected to the grid, still renewable and green sources contribute the highest at 58.19 percent while coal and oil base combined provided 41.81 percent of the country’s energy. NRG Expert have analysed their Power Generation Database in order to ascertain whether or not President Obama’s target of 10 percent of US electricity from renewable sources by 2012 has been achieved. Wind energy generation capacity increased by 57% and Solar PV generation capacity by 48%. Meanwhile biomass and geothermal growth has been slower. Biomass generation capacity has increased by a mere 7% and geothermal generation capacity also increased by just 7% . To summarize then, the US has seen a substantial increase in energy generated from renewable sources over the past 3 years. Más de 2.000 empresas y líderes políticos procedentes de más de 20 países se reunieron en Reno para la celebración del “GRC Annual Meeting and GEA Geothermal Energy Expo 2012″, la mayor reunión del mundo de la comunidad empresarial geotérmica. 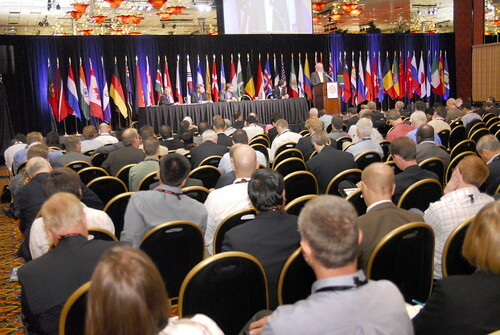 El Geothermal Resources Council (GRC), la asociación mundial geotérmica más importante, ha completado con éxito la 36 Reunión Anual de GRC en el Spa Grand Sierra Resort en Reno, Nevada. El director ejecutivo interino de GRC, Steve Ponder, dio la bienvenida a los asistentes de 33 países diferentes y transmitió los saludos al senador Harry Reid, de Nevada. Hubo un consenso abrumador de que el evento fue un gran éxito. Los números lo resumen, 1.087 asistentes registrados en el GRC para la Reunión Anual, de los que 140 estudiantes, asistieron de forma gratuita. Durante cuatro días se trataron más de 180 presentaciones técnicas por un total de más de 60 horas, presentando las investigaciones más recientes de todo el mundo. Se exhibieron más de 75 carteles, incluidos los de los graduados de la Academia Nacional de Geotermia en Reno, los tres finalistas del “National Geothermal Student Competition” y los ganadores del Concurso “33rd GRC Photo Contest”. Para acceder a más detalles de este último resumen lo pueden hacer en este enlace. Hawaii Electric Light Co. is reviewing proposals from Puna Geothermal Venture and another unnamed energy supplier to renegotiate contracts to stop tying energy costs to the price of oil. The Hawaii Tribune Herald reports a spokesman for HELCO, a subsidiary of Hawaiian Electric Industries Inc. , said energy prices had been tied to oil because of a 19702-era law that has since changed. The newspaper reports Puna Geothermal Venture's last two contracts have been negotiated at lower rates, but the original contract, which covers 25 of the 38 MWe the utility agreed to buy, was negotiated before the law was amended and remains unchanged. Butte obsidian helped solve the mystery. Researchers may need to revise estimates of the potential hazard posed by the Salton Buttes — five volcanoes at the lake's southern tip. The Salton Sea area is home to over 700 MWe of installed geothermal capacity. The buttes last erupted between 940 and 0 B.C., not 30,000 years ago, as previously thought, a new study detailed online Oct. 15 in the journal Geology reports. The new age — which makes these some of California's youngest volcanoes — pushes the volcanic quintuplets into active status. The California Volcano Observatory, launched in February by the U.S. Geological Survey (USGS), already lists the area as a high threat for future blasts. power per day for 140,000 homes. Geothermal energy exploitation is the "biggest untapped economic opportunity of our age in Rotorua", according to Red Stag Timber director Marty Verry. And it's set to be high on the priority list for Rotorua District Council-controlled organisation Grow Rotorua, which is expected to be fully operational from early next year. Mr Verry said that despite being in the heart of New Zealand's forestry and geothermal regions, Rotorua had missed out on significant investment in the past by failing to take advantage of the energy under its feet. Access to the 2012 GRC Annual Meeting Transactions in the GRC On-Line Geothermal Library (available as of November 2012). Continue receiving the GRC Bulletin Magazine (6 issues a year) for the latest news and developments in the geothermal industry. Have your contact information listed in the GRC Membership Roster & Registry of Geothermal Services & Equipment - considered the phone book of the Geothermal Industry (Must renew or become a member by February 28, 2013 to be included). International Geothermal Association (IGA) Membership - through the GRC's affiliation with the IGA, all GRC Members are automatically members of the IGA. Receive discounts to all GRC workshops and events including the largest annual geothermal gathering in the world, The GRC Annual Meeting. Discounts on advertising in GRC publications. France-based GDF Suez, the world's largest private utility company, opened an office in Jakarta on Wednesday, marking the firm’s efforts to expand its business interests in Southeast Asia’s largest economy. The company has three joint geothermal projects in the pipeline: the Rajabasa project in Lampung, the Rantau Dedap project in South Sumatra and the Muara Laboh project in West Sumatra. The three projects comprise exploration and drilling activities as well as the construction of power plants capable of generating a combined of 680 MWe. Fitch Ratings has downgraded the rating on Coso Geothermal Power Holdings LLC's $629 million ($517 million outstanding) pass-through certificates due 2026 to 'CC' from 'CCC'. The ratings downgrade reflects Fitch's expectation that default is probable, as operating cash flows and reserve funds will be insufficient to meet long-term financial obligations. Key rating drivers are: Geothermal Resource Depletion; Expected Payment Shortfall; Uncertain Financial Support, and Limited Price Risk. Camosun College is hosting a GreenTech Exchange forum on Geothermal Power, on Thursday, Oct. 25, 5:30 to 8:30 p.m., Campus Centre 124, Interurban campus, 4461 Interurban Rd in Victoria, British Columbia, Canada. Geothermal energy researcher Alan Jessop, geologist Craig Dunn and mechanical engineer Daniel Booy will discuss the potential for geothermal energy in B.C. The event is free. ArcelorMittal Steel USA is finding an uncommon way to beat the competition: It is cutting energy consumption at one of its steel plants in Chicago by re-using heat to make electricity. It says that it is saving $100 million a year by creating an extra 75 MWe of emissions-free electricity. It’s not just steel manufacturers that are able to use such combined heat and power technologies. It’s also oil and gas processing businesses, as well as iron, chemical and cement makers. Scientists are saying that the recycling of wasted energy is a productive tool that both improves energy efficiency and minimizes the release of greenhouse emissions. Hudson Ranch II, a 49 MWe geothermal plant set for Niland, was approved for development despite an appeal from the Laborers International Union of North America. As part of the decision, Simbol Calipatria Plant II also was approved. Simbol will be developed adjacent to Hudson Ranch II utilizing the brine from the geothermal process to extract minerals. The Imperial County Board of Supervisors’ decision comes about a month after the county Planning Commission gave its blessing to Hudson Ranch II and Simbol. Both plants are expected to create dozens of jobs and bring millions of dollars in revenue to the county. Most clean energy advocates today will likely tell you that America’s clean energy economy is doing quite well, despite the negative media coverage. Andrew Winston best captured this sentiment in BusinessWeek calling naysayers “dead wrong” and citing that electricity sourced from renewables doubled from 3 percent to 6 percent in just the last four years. What Andrew – and other advocates like him – refuses to see is that while clean energy has made progress, the fundamentals of America’s clean energy economy are not strong. The warning signs are staring us in the face. Power Engineering and RenewableEnergyWorld.com have announced their Projects of the Year Awards finalists. The last tour of the season to the Geysers is Friday October 26, 9 a.m. Learn about renewable geothermal power while touring the Geysers. In the Mayacamas Mountains naturally occurring steam field reservoirs below the earth’s surface are being harnessed by Calpine to make clean, green, renewable energy for homes and businesses across Northern California. The Geysers are a 45 square miles long along the Sonoma and Lake County border. This is the largest geothermal power plant in the world. Calpine, the largest geothermal power producer in the U.S. owns the Geysers. Tour will leave from Calpine’s Geothermal Visitor Center in Middletown. Indonesia is on the cusp of sparking a sea change in global renewable energy development. But discussions on so-called feed-in tariffs will make or break the success of the market. Currently the country has 1000 MWe of geothermal energy online. But it has the potential to provide almost 27,000 MWe. That amounts to around 40% of the global renewables extraction potential. The expense of geothermal implementation is proving a serious impediment to the market's development, however. As a result, Indonesian authorities have stipulated the price paid for generated energy is sufficient to cover base costs via a 'feed in tariff'. PetroEnergy Resources Corp. (PERC) said on Tuesday it has successfully completed the well requirements for the 20 MWe Maibarara geothermal power project in Santo Tomas, Batangas. In a disclosure to the Philippine Stock Exchange, PERC said Maibarara Geothermal Inc. (MGI)—the corporate vehicle for the Maibarara geothermal power project—completed the well requirements on Monday. PERC said the civil and structural engineering work for the steam-field’s fluid gathering system is 90-percent complete, which brings the total steam-field construction accomplishment to 49 percent. PERC said the engineering, procurement and construction (EPC) of the power plant being undertaken by EEI Corp. has reached 50-percent completion. New Zealand government scientists will help develop geothermal energy in the Philippines, according to an agreement signed today. New Zealand's Institute of Geological and Nuclear Sciences (GNS Science) will conduct viability reviews of the Philippines' Energy Development Corporation (EDC) steam fields over six months, said a statement from GNS Science. Geothermal energy development was one of a number of areas of improved cooperation, including defense, tourism, and trade, which were discussed during the two-day state visit of Philippines President Benigno Aquino to New Zealand this week. In an initial study, GNS Science would determine the resource viability of two major geothermal fields in the Philippines, as well as reviewing the reservoir strategies and drilling performance of EDC. EDC chief operating officer Richard Tantoco said in the statement that GNS Science would work with local specialists to help improve geothermal operations at several fields. An official of KUTh Energy Ltd. has asked the Saipan administration to honor an intent to award letter it issued to the Australian-based geothermal energy company. “It is very difficult for us to understand how this response made by Lt. Gov. Eloy Inos can be made. It is not a matter of what KUTh wanted, it is a matter of what the [Commonwealth Utilities Corporation]/government offered in the [request for proposals] to which we submitted a compliant and successful bid. We spent a lot of money preparing this bid in accordance with the RFP instructions. It is only fair, reasonable and honorable that the offering party would meet their promise,” said KUTh Energy Ltd. managing director David McDonald in an email to Variety. Tanzania will next year start exploring geothermal power along in Mbeya region, a move which is geared to meet the ever growing need of electricity as well as lowering consumption of non-renewable energy. Ngozi is the second largest Crater Lake in Africa, located roughly 15 kilometres southeast of Mbeya City in the Mporoto Ridge Forest Reserve. Geodynamics and partner have flowed steam as part of the Habanero 4 well clean-up program that is underway in preparation for flow testing and stimulation, which is part of Innamincka Deeps - located in the Cooper Basin of South Australia. The Habanero 4 well was first opened under controlled flowing conditions to commence clean-up activities on Wednesday 17 October, with the first steam plume observed early Thursday morning, 18 October. The successful clean-up flow of Habanero 4 is an important step for the partners - and continues the safe and consistent implementation of the field program. Flow testing will commence in November and remain focused on successfully commissioning the 1 MWe Pilot Plant early next year. John L Sullivan and Michael Q Wang). The warm rocks that lie deep beneath our feet contain huge amounts of renewable energy, but extracting that energy is challenging. Traditionally, water has been used to recover geothermal heat; potentially waste carbon dioxide could be employed too. A new study assesses how energy efficient this option might be. With the experience and dedication of its diverse, international membership and a 40-year plus track record, the Geothermal Resources Council (GRC) has built a solid reputation as the world’s premier geothermal association. The GRC serves as a focal point for continuing professional development for its members through its outreach, information transfer and education services. A large crowd of residents sounding off during a Special Hawaii County Council meeting held in Pahoa on the topic of geothermal energy. Hundreds of opponents of the industry packed the high school cafeteria to document what they saw are the health problems and poor quality of living next to the noisy Puna Geothermal Venture power plant. Now, the Hawaii County Council will schedule another hearing – most likely in Puna, once again – this time on the topic of geothermal drilling. Officials are looking at options for extracting clean energy resources that could dwarf China’s coal. But getting it out of the ground and making it pay are another thing entirely. Liu Qi, deputy director of the National Energy Administration said that in order to reach the goal of non-fossil energy accounting for only 15 percent of all primary energy consumption by the year 2020, the state is accelerating the exploitation of geothermal resources during the Twelfth Five-Year plan. Since Mighty River Power’s Annual Report was published, the Company has received its first cash returns from the GeoGlobal Partners I Fund (GGE Fund), following EnergySource’s successful post-construction refinancing of its John L Featherstone geothermal plant. The Southern California development was commissioned after a 21 month construction period and in its first quarter of operation recorded a world-class availability performance. This operational performance has supported EnergySource in successfully refinancing the project, which has now returned capital back to the equity participants, including the GGE Fund. Emerging from the global economic recession, investments in renewable energy technologies continued their steady rise in 2011. Total new investments in renewable power and fuels (excluding large hydropower and solar hot water) jumped 17 percent—reaching $257 billion, up from $220 billion in 2010. Solar surpassed wind in total investment, and for the first time by a wide margin. Biofuels, which as recently as 2006 held the second overall ranking in technologies, attracted the fourth highest total investment in 2011 at $6.8 billion, followed by $5.8 billion for small hydro and $2.9 billion for geothermal installations. The Swiss city of Geneva, home to various international organizations, is exploring its potential for utilizing geothermal energy for heat and power. As part of the Geothermal 2020 program, the local utility Services Industriels de Genève (SIG) will be evaluating whether geothermal could provide heating and electricity to the city. A report suggests that there are resources about 4,000 meters below the city, and could generate sufficient energy to justify the expected costs for exploration and development. The program will be run by SIG and a first report on cost and suitability of the program is expected to be published in January 2013. CEGA - Usos directos de la Geotermia from BITLS on Vimeo. in Pohoiki in lower Puna. A bill before the Hawai'i County Council that would restrict drilling of geothermal wells to daylight hours has hit a snag. The Geothermal Resources Council (GRC), the world’s premier geothermal association, has completed a successful 36th GRC Annual Meeting at the Peppermill Resort Spa in Reno, Nevada. GRC Interim Executive Director Steve Ponder welcomed the attendees from 33 different countries and relayed greetings from Senator Harry Reid of Nevada to the global geothermal community gathered in Reno. Senator Reid said it was his pleasure to welcome attendees to Reno for the Geothermal Resources Council 36th Annual Meeting and the Geothermal Energy Association (GEA) Geothermal Energy Expo 2012. 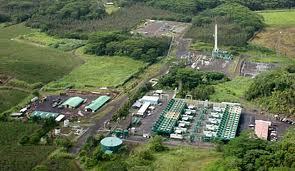 Montserrat on Wednesday signed the contract which will see the island pursue its search for geothermal energy. Vilhjalmur Gudmundsson, Head of Marketing and Business Development for Jardboranir, doing business as the Iceland Drilling Company Ltd., signed the contract while Philip Chambers, Permanent Secretary for the Ministry of Communications & Works represented the Government of Montserrat. IDC was the only company to submit a bid to drill for geothermal on island and was granted a conditional letter of award on 27 September 2012. Since then the contract works were completed in early October with the official signing taking place on 16 October, 2012. Mighty River Power and the University of Canterbury (UC) will hold a geothermal research seminar at UC’s NZi3 centre on November 1. The event will showcase a number of joint venture projects, several PhD research presentations and a Mighty River Power (MRP) update. Aiming to expand its business in the renewable energy sector, Mitsubishi Corporation has agreed to acquire 20% shares of Star Energy Geothermal Pte Ltd. (SEGPL). SEGPL is a holding company that manages operation of the Wayang Windu Geothermal Power Project Plant, a geothermal power plant stably operating since June, 2000 on Java in Indonesia. This acquisition marks Mitsubishi's first entry into the Indonesian power industry and its first operation of a geothermal power plant. Through SEGPL, Mitsubishi is aiming to develop and operate multiple geothermal power plants in Indonesia, including the expansion of Wayang Windu. Alterra Power Corp. of Vancouver, Canada, announced it has entered into an agreement with Energy Development Corporation ( EDC ), of the Philippines, for the development of Alterra's Mariposa geothermal project (PDF) in Chile and five of Alterra's Peruvian geothermal concessions. Under this agreement, EDC will have six months to carry out field work and due diligence on the South American projects in order to elect to advance them into a formal joint venture. If advanced, EDC will be entitled to earn a 70% interest by funding the next $58.3 million in project expenditures at Mariposa, and $8 million in project expenditures on the five Peruvian concessions. Subsequent project equity contributions and all economic sharing will be pro rata between the partners. Oil and gas giant BP Plc. is currently studying the possibility of expanding its business in Indonesia by developing the country’s potential geothermal energy, a senior official says. Energy and Mineral Resources Minister Jero Wacik told The Jakarta Post on Tuesday that the UK-based energy firm had been mulling the plan ever since the company’s chief executive, Bob Dudley, met with President Susilo Bambang Yudhoyono in May this year. “During the talks, which took place in Yogyakarta, the President asked the firm’s CEO [Dudley] to enter the geothermal energy sector in Indonesia. After the meeting, I also mentioned our request to BP executives during my visit to London,” he said in a telephone interview. The government was curious as to whether BP would enter the geothermal energy sector after another energy giant, US-based Chevron, had successfully become the world’s largest geothermal power producer after years of operating in Indonesia, Jero said. Ormat won won Most Innovative Renewable Energy Company in the 2012 Turkish International Renewable Energy Awards, announced by the Turkish International Renewable Energy Congress. The Australian Geothermal Energy Association (AGEA) is the industry representative body for Australian geothermal companies. The Australian Geothermal Energy Group (AGEG) represents the Australian geothermal energy community encompassing industry, academia and both State and Federal government. These two bodies jointly present the 2012 Australian Geothermal Energy Conference. Climate Change Minister Greg Barker will consider providing a multi-million pound capital grant to help build the U.K.'s first deep geothermal electricity plant in a move that could potentially stimulate further private investment in the fledgling industry. Barker yesterday attended the UK Deep Geothermal Symposium in London, where industry players discussed ways of encouraging the use of the renewable energy technology. A new breakthrough in geothermal power could democratize the energy source in the US, and also add enormous value to thousands of abandoned wells across the country, observes energy expert Tom Drolet of Drolet Energy Services. "There is a new source that’s been known for decades, and in fact our government, the US Department of Energy, spent approximately $180 million some two decades ago looking into the thermal energy that exists at the bottom of some abandoned oil and gas wells". "They focused their efforts in Texas and in some places, under some of those 1 million-plus abandoned oil and gas wells. There are reservoirs of hot brine or hot sea water, if you will, down about two miles, and that seawater also contains residual amounts of natural gas". Electric power generator and distributor AboitizPower (AP) of Cebu City in the Philippines, has applied for permits to explore geothermal power source in some 20,000 hectares of land in Pampanga and nearby Zambales on Luzon island. Bill Ruccius, AP vice president for business development, on Monday presented to Pampanga Gov. Lilia Pineda and the provincial board led by Vice Gov. Joseller “Yeng” Guiao the company’s planned exploration in Porac and Floridablanca in Pampanga; and San Marcelino and Botolan in Zambales. At least 40 percent of the area is in Pampanga, he said.